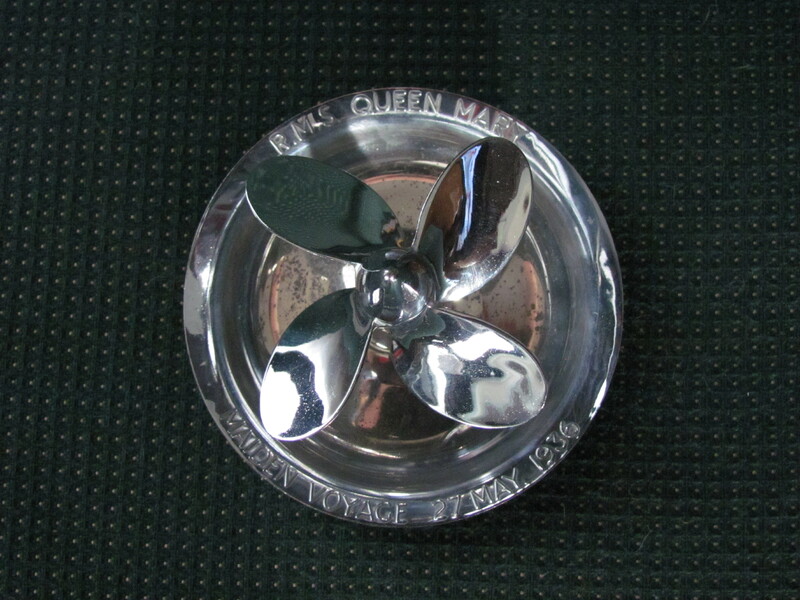 May 27 will be the 78th anniversary of Queen Mary’s Maiden Voyage. 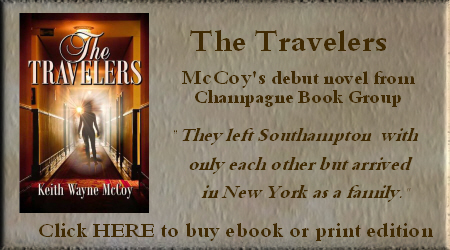 The event was very much celebrated on both sides of the Atlantic and the liner was booked to capacity. Attached are a few items commemorating that day. 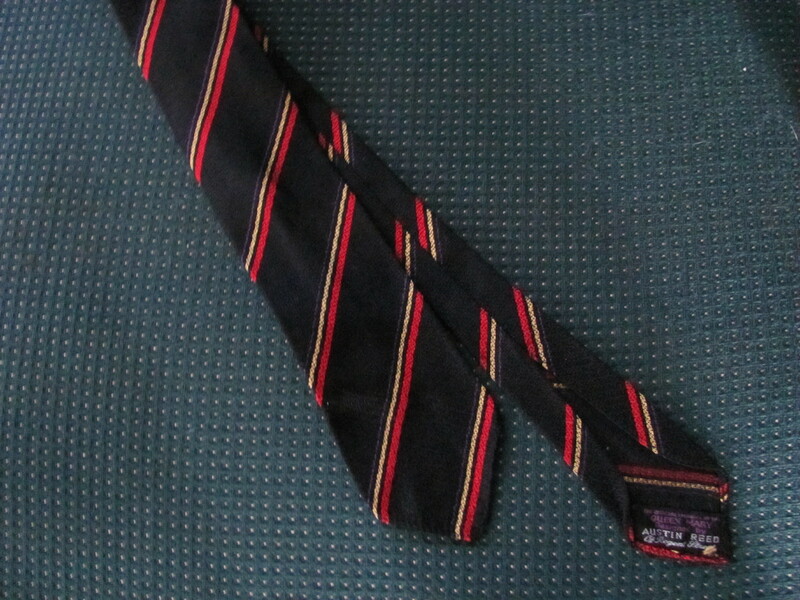 The tie was made exclusively for the Maiden Voyage by Austin Reed and sold to first-class passengers aboard ship. 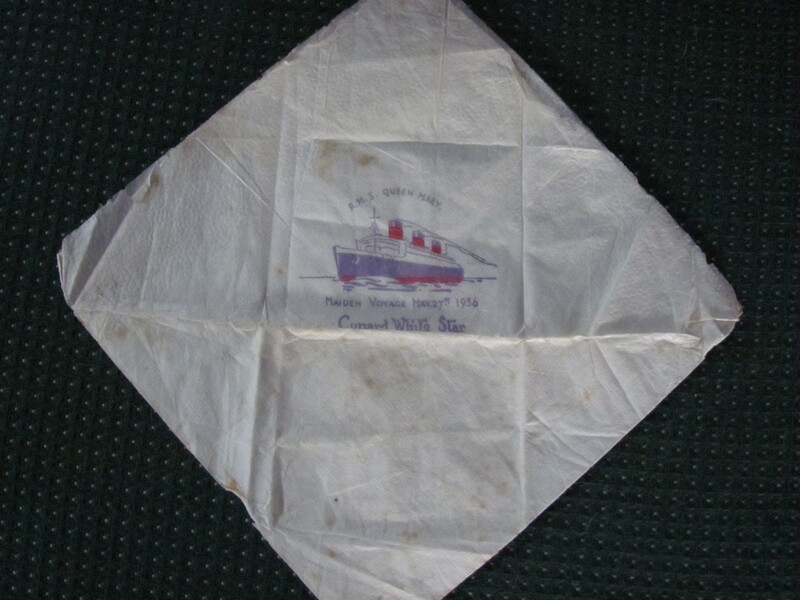 The paper napkin with the image of ship and date is in remarkable condition considering its age. The chrome-plated ship’s propeller was given out free by the Magnesium Bronze and Brass Company who built the four propellers. Its face says “R.M.S. 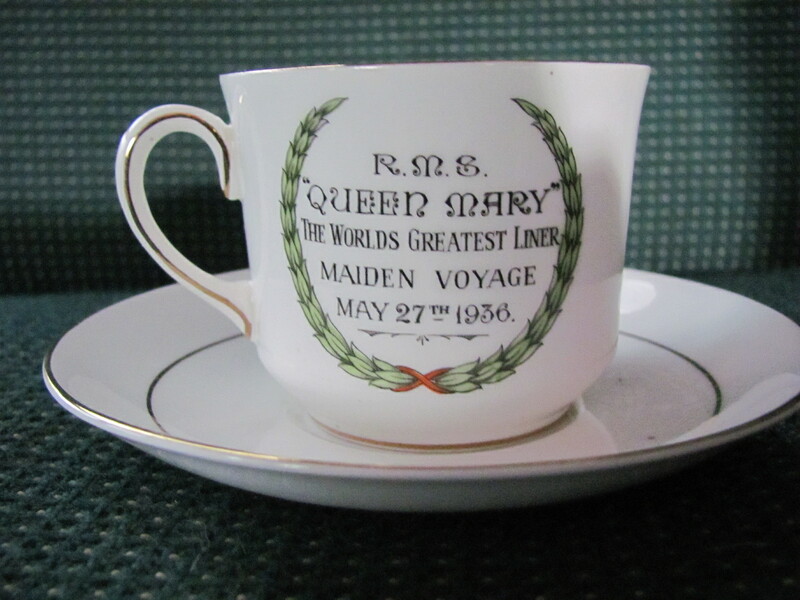 Queen Mary – MAIDEN VOYAGE 27 MAY 1936″. It, too, has survived the decades with the plating intact. 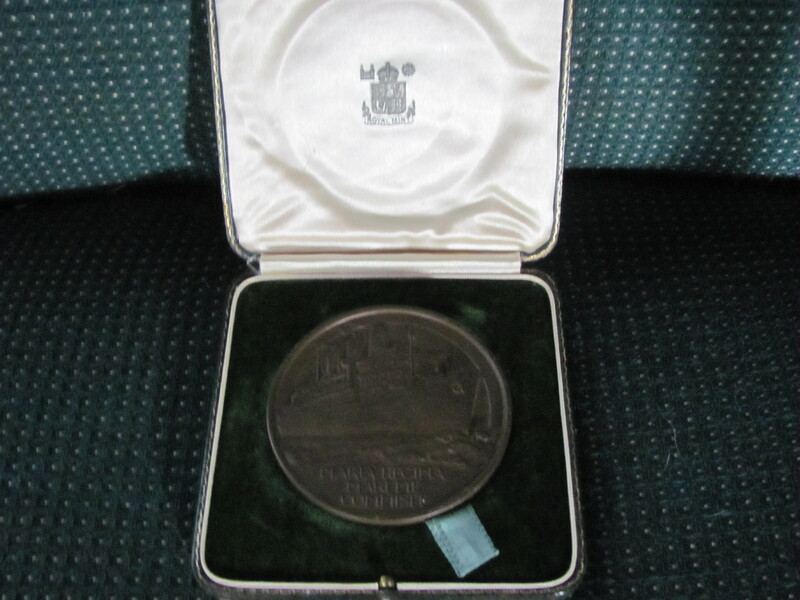 The bronze medallion was also available in the gift shops and is quite rare. The cup and saucer are made by Aynsley, a fine British china maker, also sold aboard. The press coverage was tremendous and thousands upon thousand of Brits watched the departure from Southampton and thousands upon thousands watched the arrival in New York. Radios around the world broadcast the occasion in varying languages, detailing the hustle and bustle of pleasure craft surrounding her. Movies made from that day were shown in theatres around the world before the feature films. Of course, England longed for the much coveted Blue Riband of the Atlantic for the fastest Atlantic crossing but fog hindered the Queen’s speed and she did not break the record until August. She held the title of largest and fastest liner for the next 14 years. Great post! Your collection is amazing. Thanks, Rita! 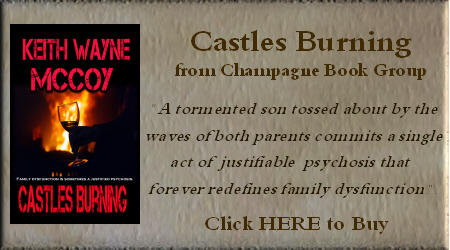 I took your advice for last week’s post and added an excerpt from the book. You also mentioned working on a ghost story aboard her and I believe I have one – I’m toying with the notion of a diplomat who, on a deserted deck in the middle of the day, witnesses a piece of witchcraft during tea-time. It will be told in letters on ship stationary by his secretary who is secretly in love with him and witnesses his downward spiral from a confident, all-business man of state to a frightened, weeping shell who ultimately chokes on a chicken bone when chicken had not even been served. Still in the plotting stages but thanks for launching the suggestion!